Head of the theatre voice program at the U.Va., Kate Burke is a past president of the Voice and Speech Trainers Association, Inc. With an M.F.A. in Acting from the Ohio University Professional Actor Training Program, she has headed graduate theatre voice programs at the Universities of Michigan, Iowa, Nebraska, and Washington. Coaching credits include productions at the Guthrie Theater, American Players Theatre (Spring Green, WI), San Diego’s Old Globe Theatre, Fort Worth Shakespeare in the Park, the Seattle Repertory Theatre, and 100s of university productions across the country. Kate has given workshops and private coaching at theatres, conferences, and medical schools, and to women’s group, news anchors, and clergy. Awarded a University of Virginia Sesquicentennial Associateship in 1997, she spent a semester in the U.K., Wales, Scotland, Sweden and India, working with Andrew Wade, then Head of Voice with the Royal Shakespeare Company. Burke was co-recipient of a National Institutes of Health grant to compare two vocal strain therapies. Results of the study appeared in The Journal of Voice. 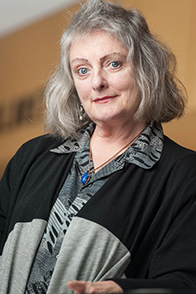 Burke has offered workshops at London’s Central School of Speech and Drama, Brisbane’s Shakespeare Ensemble, the Swedish National Academy of Acting, the Dundalk (Ireland) Institute of Technology and Rome’s University of Roma Tre. Publications include numerous articles for the Voice and Speech Trainers Association, Inc (VASTA), an essay in the Applause Books publication of The Local Vision, an article in the Iowa State Journal of Research, and editorship of an early VASTA COMBINED BIBLIOGRAPHY.